The county zoning administrator says local land-use regulations currently allow growing of medical marijuana only in industrial zones. The Frederick County Council is seeking citizens' views on whether marijuana production should be allowed on land zoned for agricultural use. 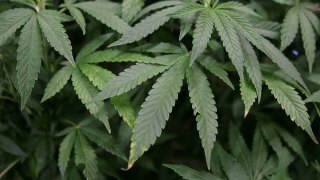 The public hearing Tuesday afternoon follows a request from a group that wants to grow cannabis at an existing greenhouse business in Middletown. The group seeking the change says marijuana is a crop, and growing it in farming areas makes sense. Opponents say it's smarter and safer to grow pot inside an industrial park warehouse. They say greenhouse-grown plants are more likely to be targeted by thieves. The state of Maryland plans to award 15 licenses to grow medical marijuana by the end of January.